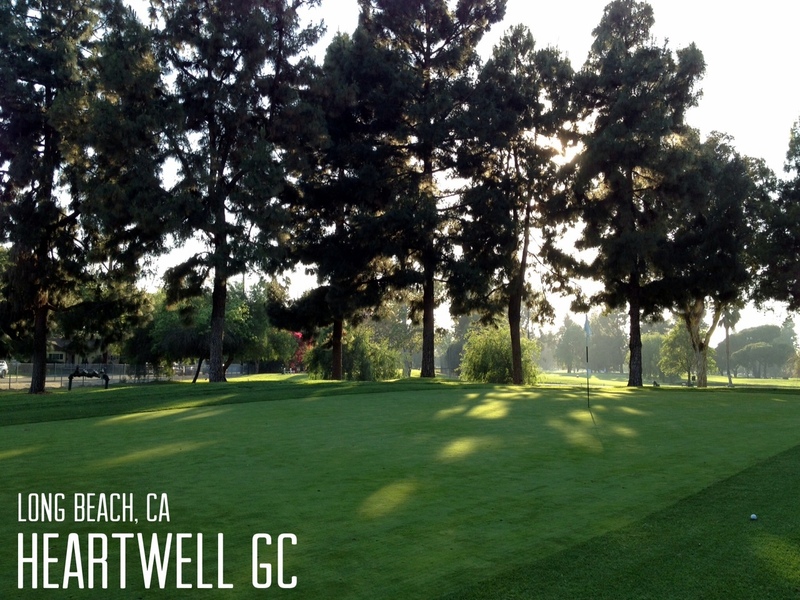 I love golf and I’m fortunate to live practically walking distance from Heartwell Golf Course in Long Beach. It’s a fun little 18-Hole Par 3 course which opened in 1964. The distance of the holes range from 85 to 140 yards, so you don’t need much club here. It’s great for practicing your short game. There are a couple of water hazards, and sand traps on a lot of the holes. Heartwell Golf Course has lights for night golf with a driving range, two huge practice greens, and restaurant which I have yet to try. The course is always in great shape every time I play. My wife just picked up golf and on 5/11 she played her first ever real round on a golf course. No better place for a beginner than Heartwell! it was a perfect afternoon. Here’s a picture I took on the back 9.